The North-African country of Algeria lies on the coast of the Mediterranean Sea. Algeria is the second largest country in Africa, and despite the recent civil unrest within the country, it has many wonders that will convince an adventurous traveler to visit it. Algeria mixes a French colonial past with tribal history. Even today, UNESCO strives to protect the remains of the tribal culture, although the cities and towns of Algeria are now an intertwining of modern, colonial and traditional elements. Algeria used to be a flourishing tourist destination until the beginning of the 1990’s, and in recent years, it has begun to regain its former attractiveness. Travelling alone is not the best idea in Algeria, but if you can secure transportation and some reliable travel companion, it would be a shame to pass up the opportunity to visit this fascinating country. This Algeria Travel Guide will give you some useful information about the geography and culture of the country. 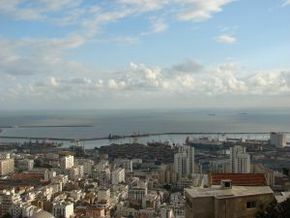 Algeria has quite an extensive Mediterranean coastline peppered with several islands. More than four-fifths of Algeria’s territory is covered by deserts, but in the north, there are mountain rages that stretch from Morocco, the western neighbor. The northern areas of Algeria are part of Maghreb, a region that also comprises Tunisia, Morocco and Libya. In the northern parts, you can expect a mild, Mediterranean climate, but the further you go south, the hotter the climate becomes. Although in the past Algeria had expanses of lush forests, agriculture had almost completely erased them in the colonial era. The best places to get a taste of genuine Algerian life are the capital city of Algiers and Oran, both coastal towns where you can choose between sightseeing, shopping at bazaars and tasting Algerian delicacies. The history of Algeria has made a strong imprint on the nation’s culture. The language spoken by the masses is Arabic, but it is not the language encountered in other North-African countries. Algerian Arabic has many loanwords from Turkish, Spanish, Berber and French, so don’t expect to understand it perfectly even if you are a speaker of Arabic. Various dialects are spoken by the Berber population, and in urban areas, many people speak French as well as Arabic. The literary world of Algeria has produces some world-renowned writers such as Albert Camus and Mohammed Dib. Keep in mind that Algeria is a predominantly Muslim country, so a healthy dose of respect is required when it comes to all aspects of society. You can find a wide variety of handicrafts in Algeria, ranging from pottery to musical instruments. Algerian cuisine is influenced by the Ottomans, Berbers and French. Breakfast is generally very light, comprising pastries, tea and Arabic coffee. Dinner is usually an elaborate affair with several courses. One of the most famous Algerian dishes is merguez, a type of spicy lamb sausage.